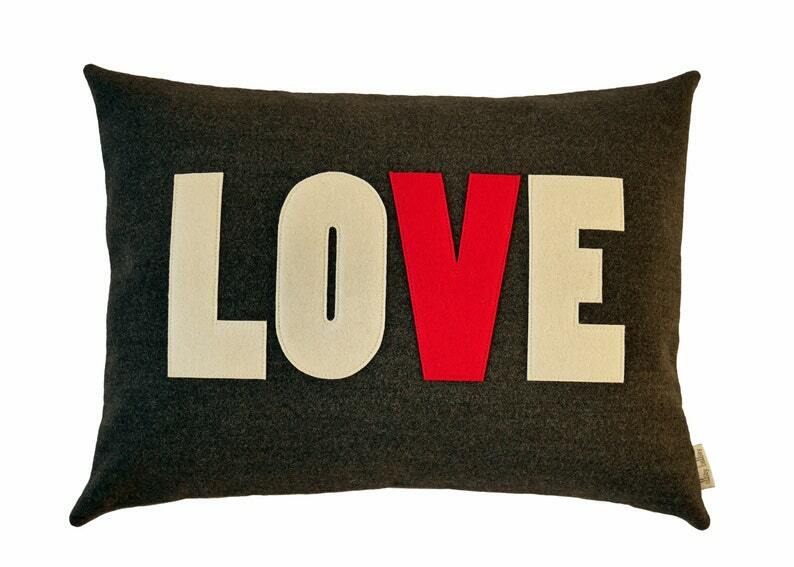 Wool felt appliqued cushion on a charcoal grey melton wool with a red zip feature on the reverse. Cushion comes complete with duck feather insert . My little girl loves it, great quality and quick delivery, thanks so much!